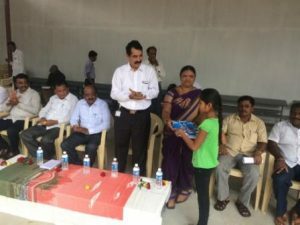 June 21, 2017, Bangalore: Toyota Kirloskar Motor (TKM) who has been at the forefront reaffirming its continued commitment towards promoting quality education since 2003 by supporting children from weaker sections of the community, kicks-off its distribution of essential school supplies to Government schools in Ramanagara, Karnataka, where the company’s manufacturing plant is located. In an unstinted effort to empower school children with good education, TKM will be distributing educational materials to 160 schools benefiting around 11,500 school children in Ramanagara District. School supply kits consisting of bags, books, geometry box, drawing books and crayons were distributed to school children from first to tenth standard, thereby ensuring that the recipient schools possessed necessary learning materials to enhance the educative sessions in the classroom. The Company, represented by Mr. Rajendra Hegde-General Manager, handed over the books and bags to the local school children in the presence of Mr. Gangemare Gowda, DDPI–Education Department, Government of Karnataka, Mrs. Venkateshamma, President-Bidadi Town Municipal Council and Mr. Satish Chandra, Director-JnanaVikasa School, Bidadi. Toyota’s continued and focused approach has driven gradual educational improvement amongst Government schools at Bidadi region through a visible increase in overall enrolment of school children at various grades up by six percent in 2016, as compared to 2015. Toyota Kirloskar Motor commenced this programme in 2003. 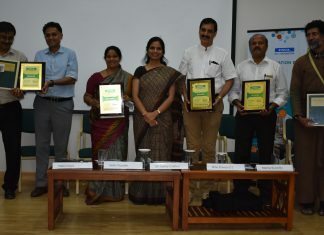 Since then, ten schools are added to the fold every year, taking the count to 103 schools from TKM and another 31 schools through its supplier industries, especially Toyota Kirloskar Auto Parts, Toyota Techno Park and other On-site suppliers. 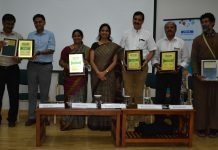 The institutions to which the contributions are made are government schools that have been identified by the Block Education Officer (Education Dept., Government of Karnataka), wherein majority of the students are from economically underprivileged families. These programmes have expanded over a period, enhancing the beneficiary coverage to around 11,500 school children this academic year, as compared to 3000 children in 2007. 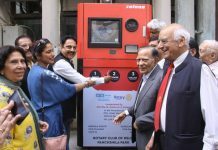 Toyota Kirloskar Motor has, over the years, initiated several other projects to accelerate access to quality education and learning infrastructure in the country. The company has reconstructed many government schools across villages such as Yavalinganapalya, Thalaguppe, Byramangala, Medanahalli and Hosadoddi. 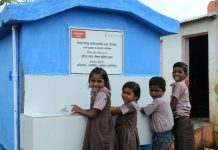 Under the government’s national campaign to provide clean sanitation facilities for the girl child in India, Toyota has pledged its support to ‘Swacch Bharat–Swacch Vidyalaya’–by constructing sanitation facilities at identified schools by the Government in three locations across India. The company constructed 762 units of sanitation facilities in 219 government schools across India, of which 124 units are located in Varanasi, 544 units in Karnataka and 94 units in Bihar.